• New Halloween Treats have been added. • Increased the chance you will receive a "treat" instead of a "trick" from the Trick or Treat bags. • Annihilus charms are acting strangely. • Multiple new World Drop Uniques have been added for the following bases: Matriarchal Spear, Feral Claws, Destroyer Helm, Earth Spirit, Succubus Skull, Zakarum Shield, and Dimensional Shard. • Twin Excalibur's set bonus has had its chance to cast Megiddo Flame increased. • Further increased the drop rate of world drop Forbidden Charms. • Skeletal Burst's Damage increase from Skeletal Power has been greatly increased. • Bone Armor and Cyclone Armor can now be casted on pets. • Thunder Storm Damage per Level has been increased. • Chaos Ring Damage per Level has been greatly increased. • Miasma no longer deals damage. • zrc jcpy ncmwvvwvm owll lcix yae za zrc cvx. gccf yaep cycu uripf, zrc ivuocp wu pwmrz evxcp yaep qaeuc. Last edited by Game; 10-05-2018 at 08:21 AM. dont act stupid, it means he needs to go potty. Cheers and thanks for all, Alex!! 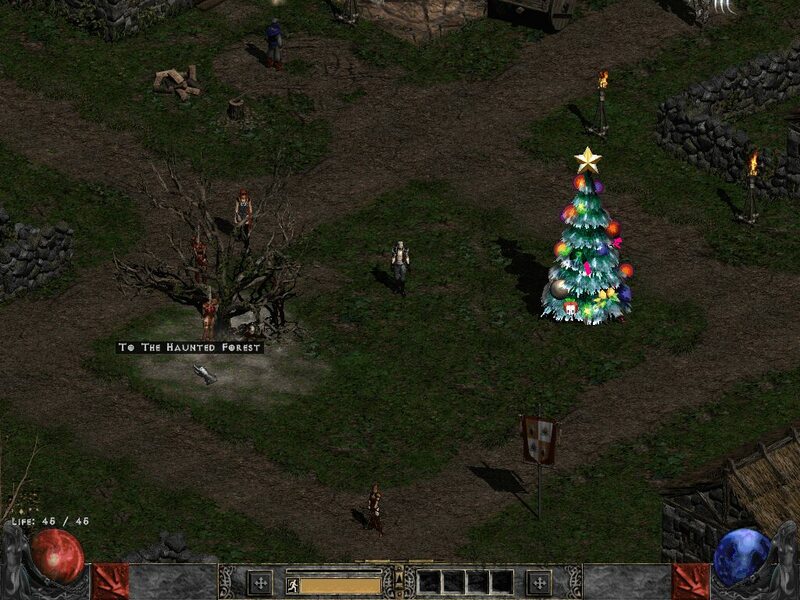 It'll be the easiest mod to install for Diablo 2, ever (Probably). Ive just recently installed a fresh windows and i struggle again to get it to work... prolly gonna wait for the 7.0 then !